There is an odd feature about life down here. I can run harder, longer and more frequently than is possible for me anywhere in the northern hemisphere. 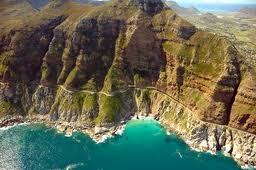 My standard route is up to the top of Chapman’s peak drive, a 10k route, with an absolute height difference bottom to top of 200m or so, but since it goes up and down a bit, a total altitude gain of more than 350m, or 1000ft. That’s quite a run for an old codger, but down here, I can manage it every other day. In UK, or France that would have me with some kind of minor injury after about a week, but down here I can keep it up for weeks on end. I have put it down to just warmth, but recently I have begun to wonder if it’s more accurately increased Vitamin D production, as described by the excellent Dr Michael Holik. Whatever, I still get a sense of achievement after doing one, and the cool-down swim afterwards in the pool is just magic. If I combine this with 25 or so press-ups I feel in need of some kind of reward – in the luncheon category – so on the days I run, I often treat myself to a little lunch in a great place. I mention this because I was sitting eating one of these little reward lunches, and it occurred to me that the feeling and the location was about as good as it gets. Can’t show that obviously, but here’s what the food and the places looked like. 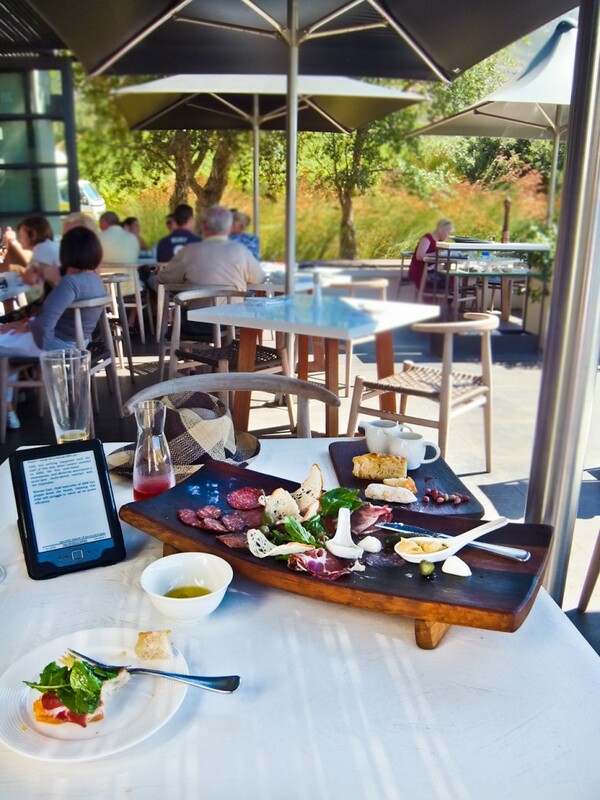 This is lunch a few days ago at what I think is currently the best lunch spot in the winelands – Bistro 1682 at the Steenberg wine estate. This is a really pretty, ultra-modern place with a big deck looking out on the Constantia mountains. 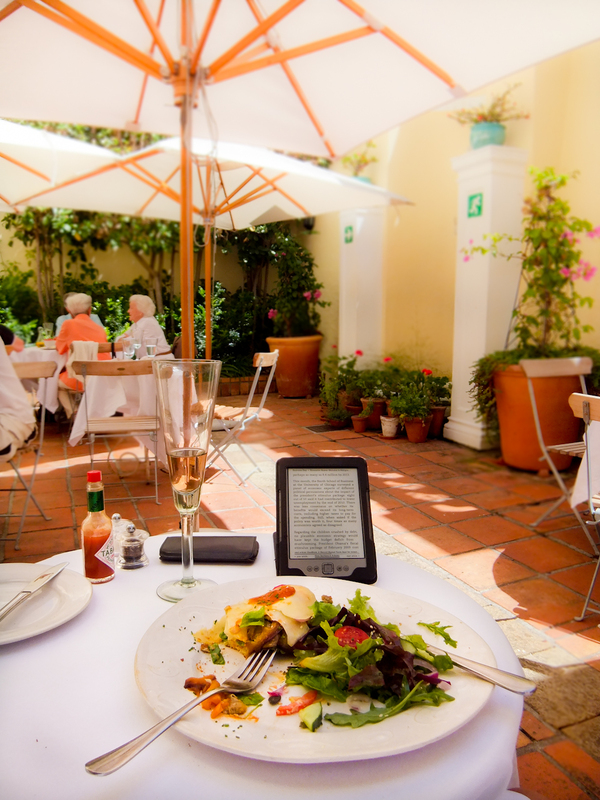 They do great lunches at a really reasonable price – appetizers between R40-60, and mains from around R90 up. On this occasion I had their brill charcuterie platter, with a clever white bean puree, and a huge array of excellent highly processed pork products -most of which I have eaten in the photograph. With a beer and a carafe of rose, and the warm if not smug feeling of having done a good workput, this was a pretty strong “if you can’t feel good under these circumstances, you can’t anywhere” moment. And here’s yesterday’s lunch, at the also excellent Cafe Labia in Muizenberg. This amazing restored Italian Palazzo (scene of the DLW’s *0th birthday lunch late last year) has a very fine and sheltered courtyard, free of the powerful False Bay winds that often hit this seaside town. Lunch here yesterday was an absolute bargain – a glass of excellent Rose champagne (well, Cap Classique, but V.N. as good), and a great roasted vegetable open sandwich and salad, for a grand total of R76, or £6 in UK money. More expensive things are to be had here – the best I think is their “frutte di mare” pasta and seafood melange – but whichever you choose it’s in a uniquely pretty place and with very friendly and relaxed service.